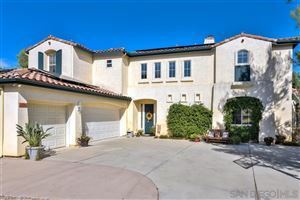 For over two decades "THE REGAL TEAM" has been proudly servicing its clients in the following San Diego County areas: Allied Gardens, Bay Park, Cardiff, Cardiff By The Sea, Carlsbad, Casa De Oro, Chula Vista, City of San Diego, Clairemont, Coronado, Del Mar, El Cajon, Encinitas, Escondido, Fallbrook, Fairbanks Ranch, Granite Hills, Hidden Meadows, Imperial Beach, La Jolla, La Mesa, Lake Morena, Lake San Marcos, Lakeside, Lemon Grove, Leucadia, Mira Mesa, Morena, Mount Helix, National City, Ocean Beach, Oceanside, Olivenhain, Pacific Beach, Paradise Hills, Poway, Rancho Bernardo, Rancho San Diego, Rancho Santa Fe, San Carlos, San Diego City, San Diego Downtown, San Elijo Hills, San Marcos, Santee, Solana Beach, Sorrento Valley, Spring Valley, University Heights, Vista, and Winter Gardens, where many communities of single family residences, town-homes, condominiums, and multifamily properties in all styles and price ranges can be found. We specialize in homes and condominiums alongside the beach in the coastal San Diego communities. 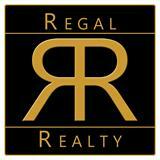 Because we love what we do, "THE REGAL TEAM" is always eager to assist you when buying and/or selling homes here, in San Diego County area.